Dr. Joseph Caruso is a double board-certified general and vascular surgeon providing comprehensive vascular health care at Complete Vascular Care in Arlington, Texas. He offers traditional and minimally invasive vascular surgery for conditions including peripheral artery disease, venous insufficiency, and varicose veins. With many years of experience, Dr. Caruso believes it’s essential to understand both traditional treatments and minimally invasive treatments for vascular health issues, like peripheral artery disease, as well as stay up to date with emerging treatments and technologies. He believes the key to optimal patient care is to know which surgical option is the best for each patient and have the knowledge and skill to deliver exactly what the patient needs. After earning his medical degree at State University of New York (SUNY) Brooklyn, Dr. Caruso served his internship and general surgery residency at University of Medicine and Dentistry of New Jersey. He continued his surgical training with a vascular surgery fellowship, in which he focused on the most advanced minimally invasive and open surgical techniques. He went on to complete an additional year as a research fellow, during which he won an award from the American College of Surgeons Committee on Trauma for his clinical research. 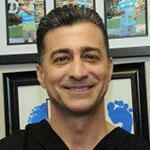 Dr. Caruso was born and raised on Long Island, New York, but loves his home in Texas. In his spare time, he enjoys being with his family and riding his motorcycle at one of the local race tracks. Amanda has been working as a sonographer for almost 20 years and is considered one of the most respected vascular technologists in the state of Texas. 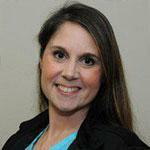 She is the Technical Director of Imaging for DFW Vascular Group. Amanda has been published multiple times, most recently for her innovative research in the Journal of Vascular Surgery. She prides herself on her patient care and the ability to work with Dr. Caruso to get patients the help they need. Amanda is also the vascular consultant to several college programs for sonography in the DFW area, holding the standards high for the next generation of sonographers. Behind every great doctor is his amazing staff. From coordinating new patients, promptly scheduling procedures and surgeries and overseeing billing, to keeping up with all aspects of managing a surgeon’s schedule and running an efficient office, Lisa is the backbone to our success. 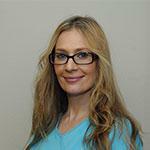 She has over 14 year of experience in vascular medicine. Early in her career, Lisa started as a clinical coordinator and quickly advanced into leadership where she was responsible for coordinating new patients, scheduling new surgeries, and billing for both. Today she is the office manager and “go to” queen for just about any question you may have about our practice. Since 2007, Lisa has enjoyed working with Dr. Caruso and even followed him to Texas when he decided to move his practice from New Jersey in 2010. I enjoy working for Dr. Caruso. He is a great doctor and the best vascular surgeon. He takes his time with his patients, answers every question, has remarkable clinical outcomes and always does what is in the best interest of the patient. His patients love him! Lisa loves Texas! From her passion for all types of animals to her love for biking and hiking around the many local parks and lakes, Lisa is happy to now call Texas home. Jessica is happy to call Arlington home having lived here the majority of her life. 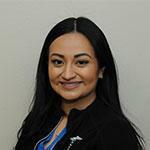 She is a graduate of Sam Houston High School, and continued her education at Concorde Career College, pursuing a career in the medical field. Jessica is also a mom of two and they love to sing, dance and watch movies together.